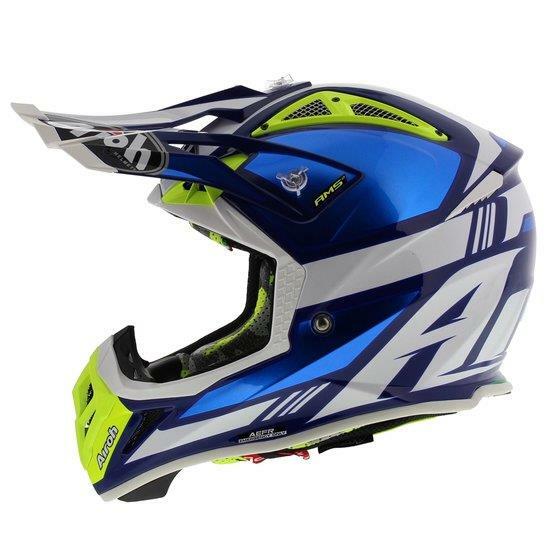 Aviator 2.3 is all what pros and lovers of adrenaline fuelled off-road rides are looking for to hit dusty and muddy roads with absolutely no concerns. 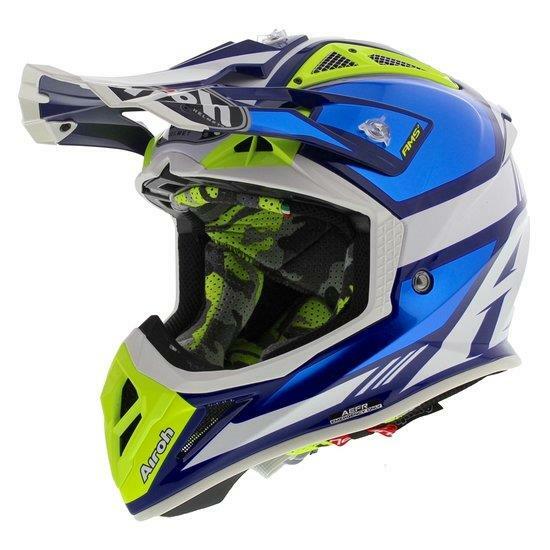 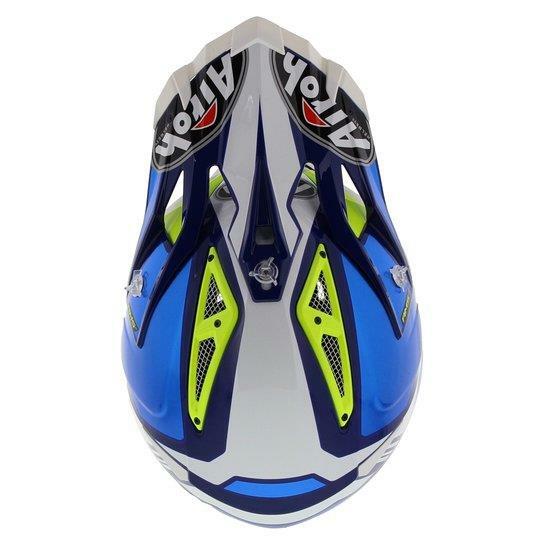 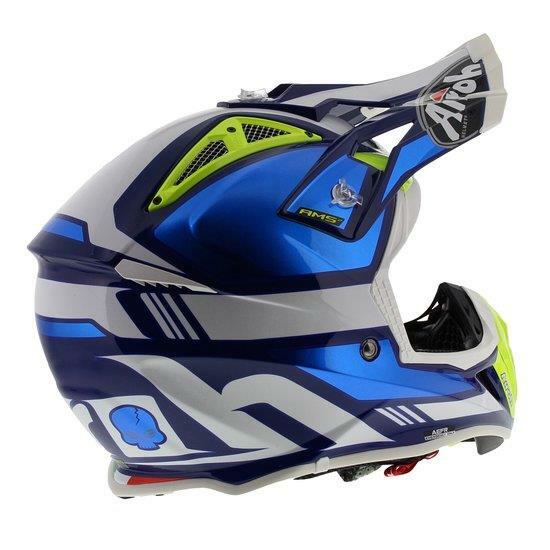 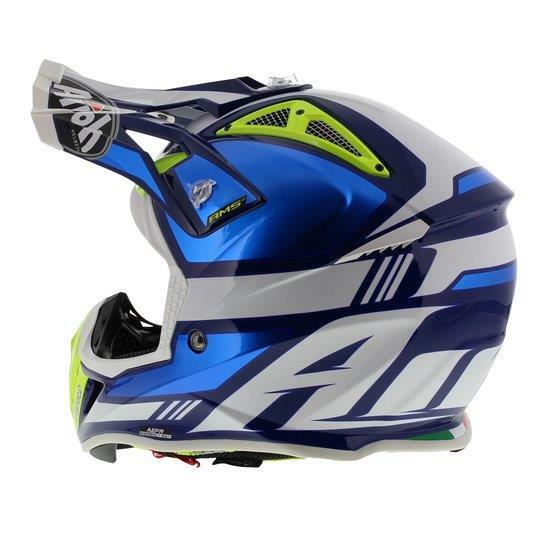 This last-generation Airoh® MX helmet is equipped with all leading-edge technologies making this model a one-of-a-kind product in the world, with absolute comfort, breathability and protection even under the most extreme situations. 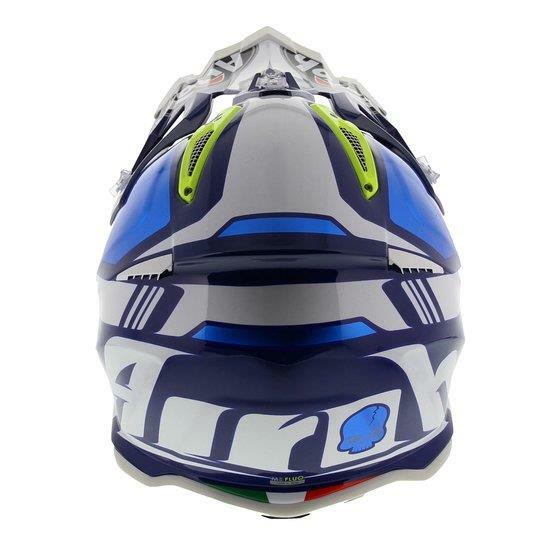 Airoh is pride to offer consumers a product that is exactly identical to the version used by its champions. 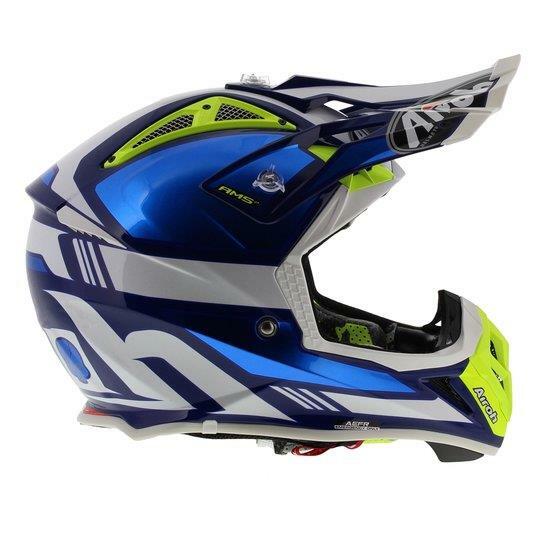 It is sold in two different shell sizes with superior 100% carbon/Kevlar composite fibre making it one of the lightest and highest performing helmets on the market to meet the requirements of particularly demanding riders. 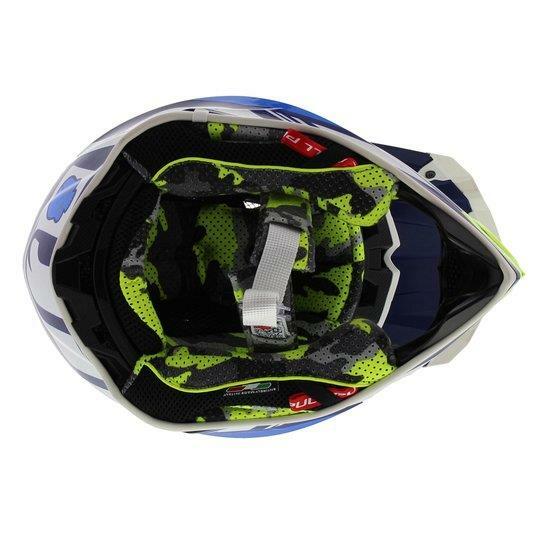 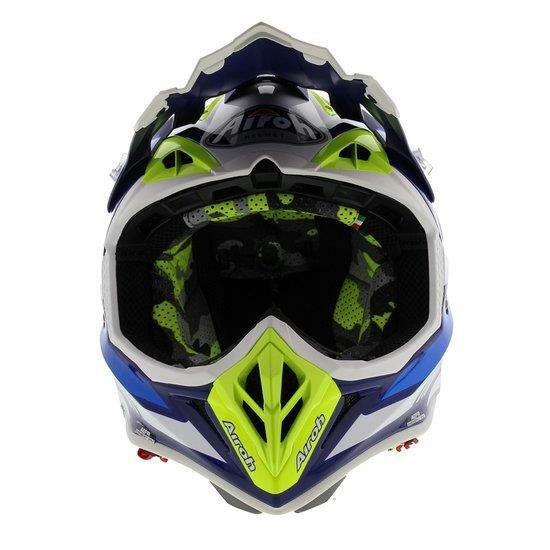 For ultimate safety, the helmet includes an emergency cheek pad release system (A.E.F.R.). 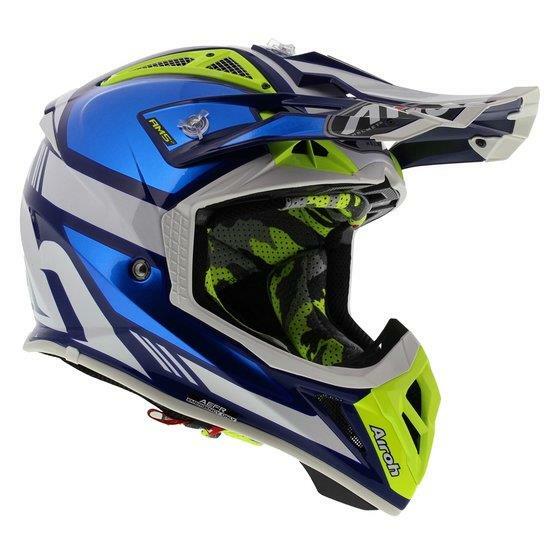 Standard features that come with this model include a wide-field-of-view visor, which is also suited for the use of last-generation goggles, multiple vents, a peak with two different extensions, a Go-Pro® support, covers for upper vents, a kit of spare screws, a helmet bag and a closure hardware kit (2017 novelty).